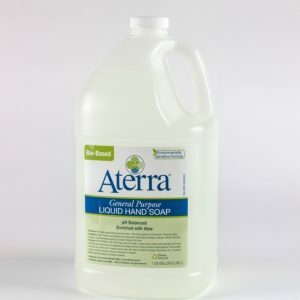 Aterra Eco-Premium Foaming Hand Soap combines thick, rich lather to clean hands with natural glycerin and panthenol (provitamin B5) to soften and condition the skin. 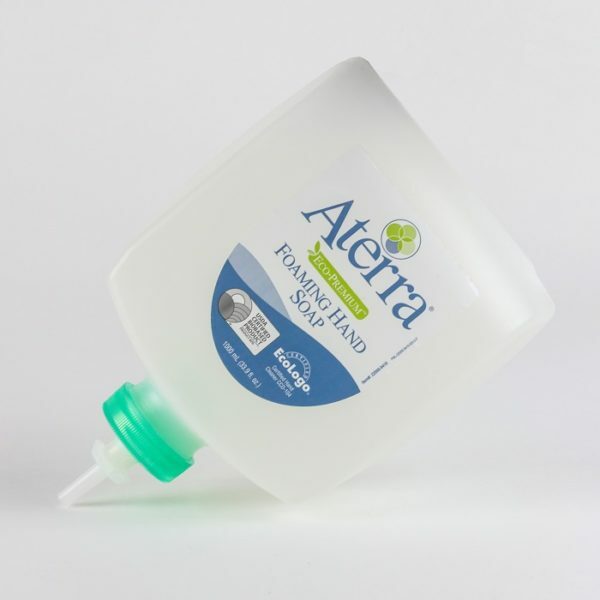 Aterra Eco-Premium Foaming Hand Soap is a USDA certified biobased product and by passing a variety of rigorous, third-party environmental and performance testing is EcoLogo® certified to Hand Cleaner CCD-104. Formulated to be gentle to the skin and the environment, Aterra Eco-Premium Foaming Hand Soap is readily biodegradable, non-toxic to aquatic life, and does NOT contain problematic preservatives based upon formaldehyde donors, parabens, or isothiazolones. The non-irritating, allergy-tested formula is dye-free and contains a light, fresh cotton scent (IFRA certified) to invigorate the senses and promote handwashing.